I've told you on here before we followed Dave Ramsey to get debt free, and we still use his model today. That means when our budget is spent, the money is gone until the next payday. And we stick to it. This past week, even though we were out of eggs and milk (we don't have kids so it's not pertinent for us to have it everyday), I wanted to come up with something delicious for the weekend. It was tough seeing as I needed a recipe that didn't include either of those. Good luck, right?! I opened up the fridge, stared, stared, and stared some more and I finally came up with this super quick and super Easy-Made Monkey Bread! I didn't want to call this homemade Monkey Bread since technically I didn't make the biscuits from scratch. But that's what makes these so great, they're so darn easy! And you're done! Oh...don't forget the yummy icing! I had a little assembly line going and it made it even easier to get these all done! Preheat the oven to 375 degrees. 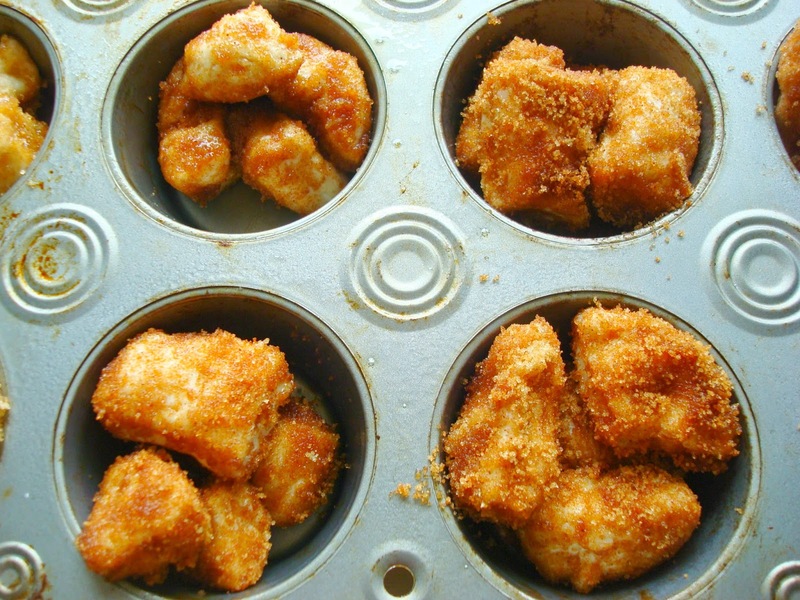 Grease a muffin tin and set aside. Mix together the brown sugar and cinnamon and set that aside too. 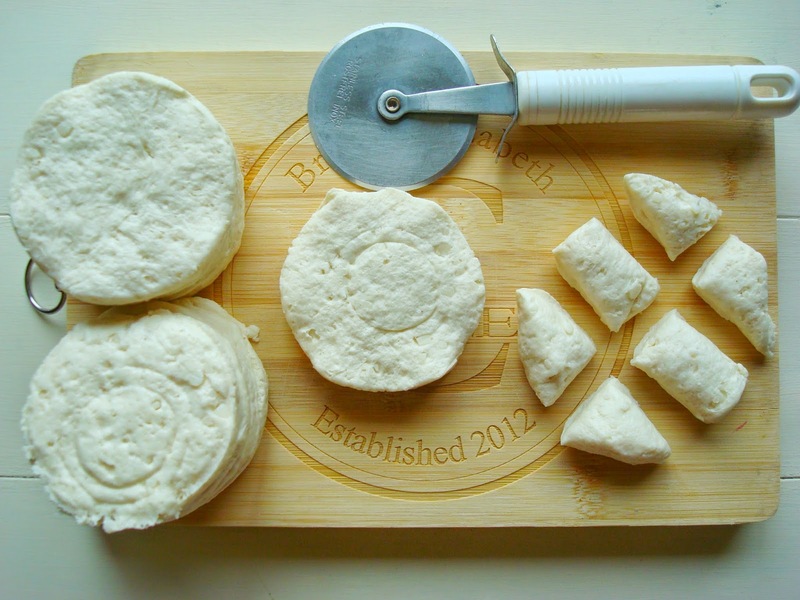 Cut up all your biscuits into 6 pieces. 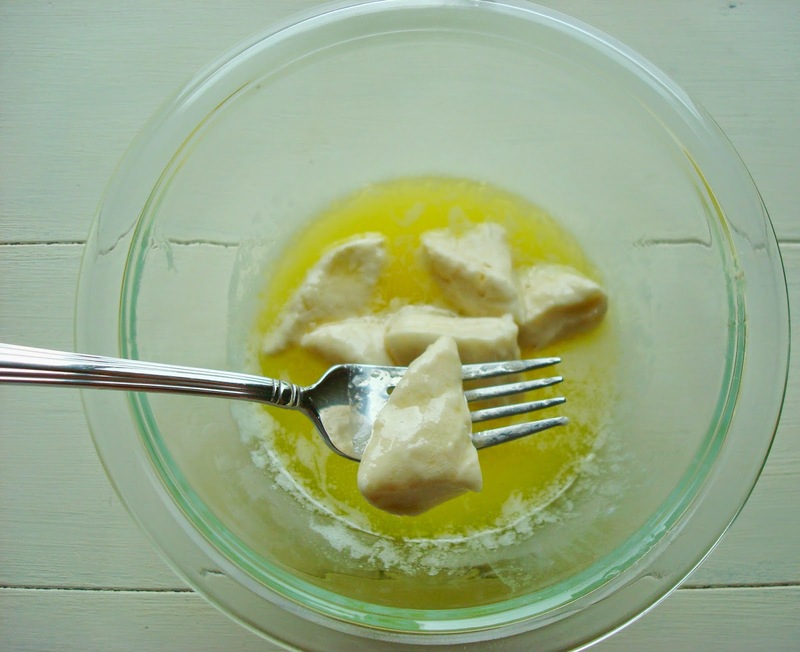 Melt the butter in a small bowl, then add in the corn syrup. 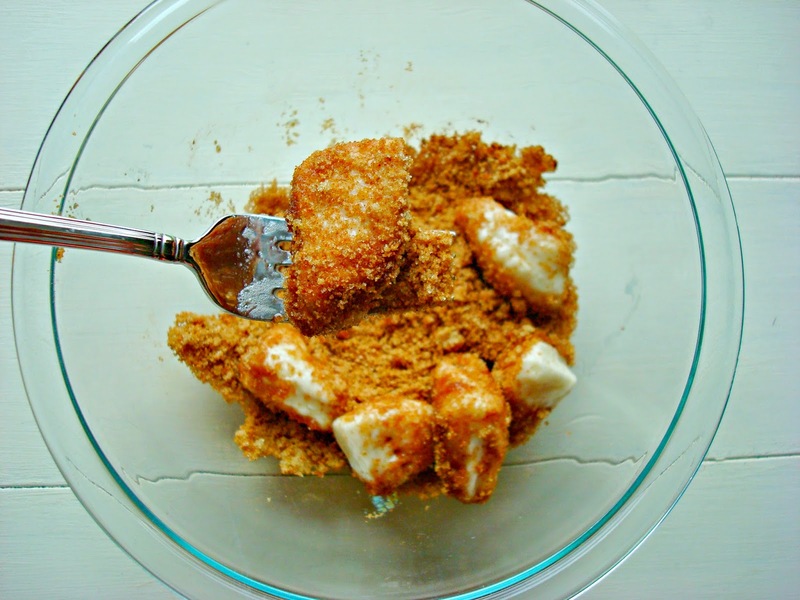 Drop the pieces into the butter mix then dip them in the sugar cinnamon mix. Make sure each piece is coated in sugar before removing it. Place four pieces into each muffin tin. Bake for about 12 minutes. When the timer goes off, turn off the oven and let the monkey bread sit in the oven for another few minutes. It helps them crunch up without continuing to cook. Remove from the oven and run a knife along the edges to make sure they're easy to take out. Combine everything for the icing and drizzle all over the bread. Do you have any fun plans for the weekend? Are you excited to NOT have any plans for this weekend?! I hope whatever you are doing you have a fabulous time doing it! This looks so yummy and quick! Oh that looks yummy! Thanks for sharing. That looks so good! I have pinned, what a perfect Saturday morning treat! I love that you made these in muffins tins, super easy and I may treat my hubby tomorrow and make these. Saw this on the Boost your FB post. Super Easy and so delicious!! Congrats on figuring out a way to indulge AND stick to a budget! Not easy. 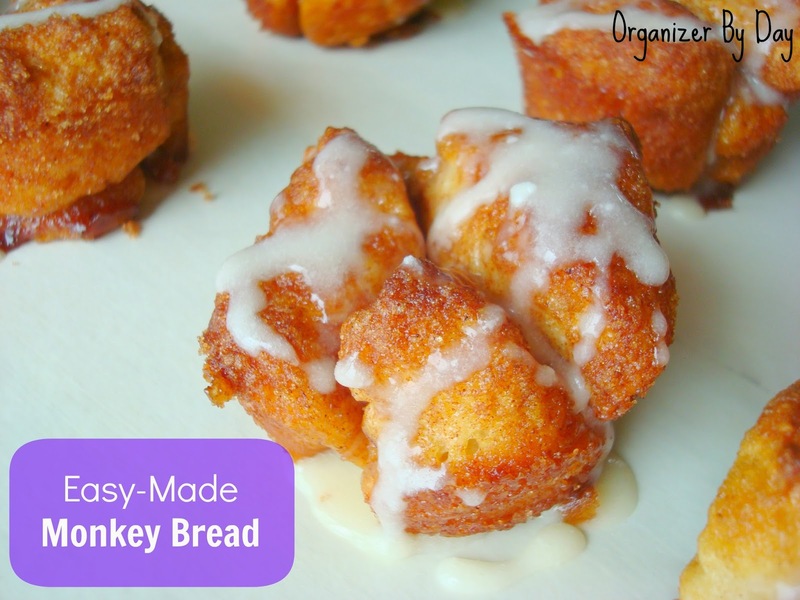 Monkey bread is so addictive...all warm and gooey and sweet. Having it in portion control sized muffins at least gives the opportunity to not overindulge. 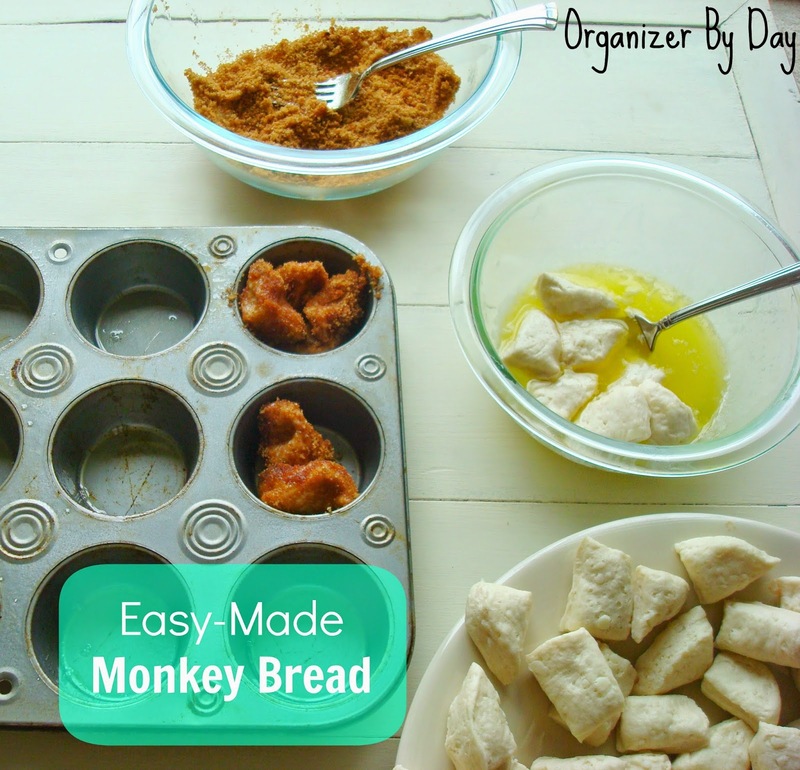 :) I have made monkey bread with frozen bread dough but never with biscuit dough. Great idea and so much easier! yummy portion sized :) looks delish! Sounds delicious!! We always use canned bread dough but we melt the butter, sugar and cinnamon in a sauce pan and just dump it over the cut up biscuits. It cuts down on extra steps and still gets down between all the pieces. OMGosh I bet I'd eat the whole batch to myself!! Thank you so much for joining us this week, at Simple Supper Tuesday. 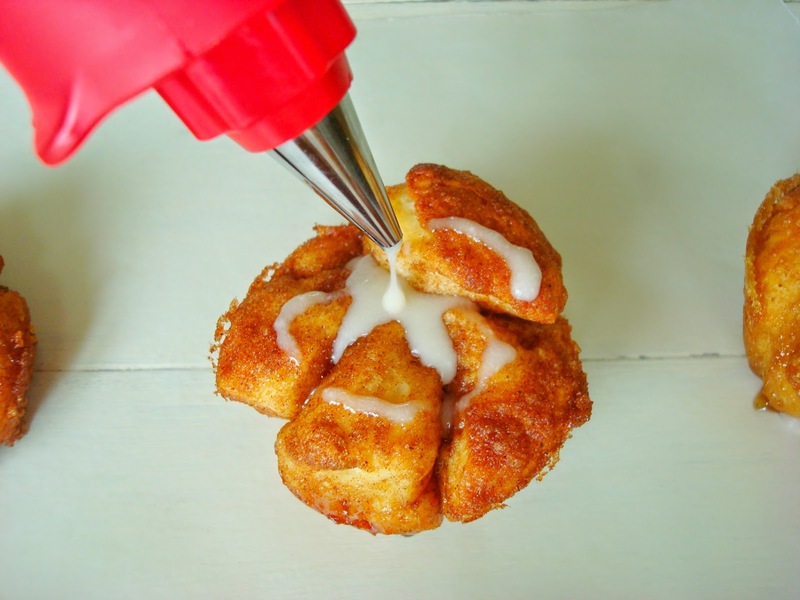 We love Monkey Bread but I've never dipped the biscuit pieces into melted butter and corn syrup before. Great tip! Thank you so much for sharing your creativity at Show-Licious Craft & Recipe Party! Join us again on Saturday morning at 8:00 am EST. I am going to have to make these this weekend. I love monkey bread. 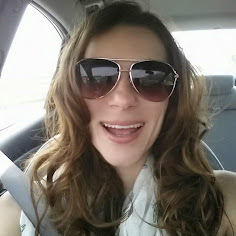 Thanks for linking up at Tell Me About It Tuesday. We hope you hop over and share with us again next week. i want this right now! so easy im gonna make it tonight and pinning for all my friends :) xo, jess. 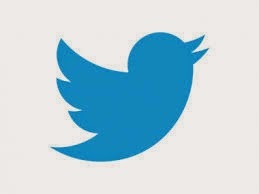 thank you for linking up to Tell Me About It Tuesday. Your recipe will be featured in this week's post by a hostess. 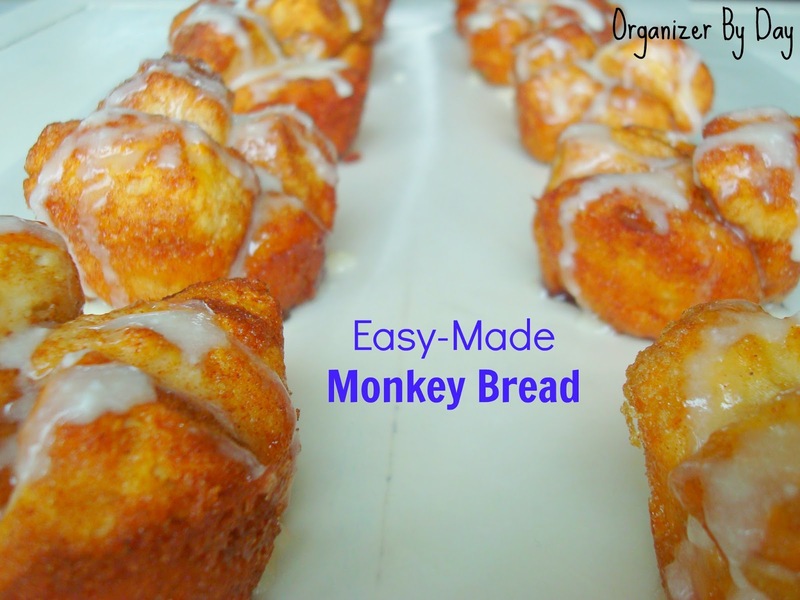 Your Monkey Bread looks fantastic! Thanks so much for sharing your awesome post with Full Plate Thursday and hope you have a great week! Looks so fun to serve and easy to make thanks! Thanks for linking up with us and we hope to see you next week! Sandra from Scrumptilicious4You with the Four Seasons Blog Hop.